A driver’s license is often a key to job readiness, as employers in many fields require job applicants to possess a valid license. However, a $50 or $75 parking or toll fine that a driver with a middle income pays without a thought quickly becomes unmanageable for a very low-income person. The unpaid fine snowballs into revocation of driving privileges and, ultimately, a severe job and family hardship. Through License to Succeed, Arm In Arm improves job prospects for adults, many of them parents who receive public assistance. With driver’s licenses restored and fines and fees resolved, adults are freed from relying on restrictive bus routes to travel between work and child care and can qualify for jobs in more fields of employment. Calvin Brown shares his License to Succeed story here. 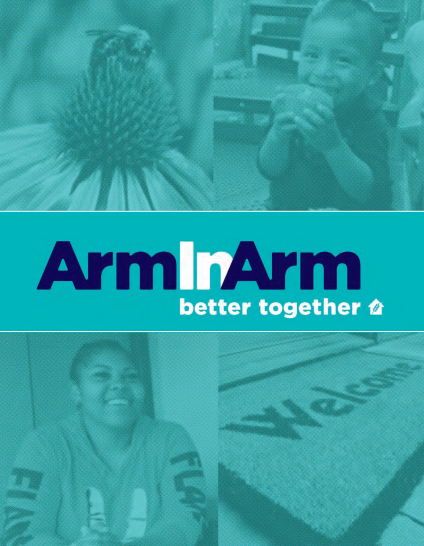 The only non-profit organization in Mercer County that provides license restoration assistance, Arm In Arm works with other agencies and with our own workforce development trainees and other clients, providing administrative assistance and partial aid to jumpstart and supplement clients’ stake in paying fines and reinstatement fees and to establish manageable payment plans. Stories by National Public Radio (December 29, 2014; January 5, 2015) and The New York Times reveal a growing public awareness about the economic effects of license suspensions. The stories echo those of men and women who turn to License to Succeed: They want to improve their earning power through a restored license, but are not able to pay the accumulated fines, court fees, and restoration costs. Job-hunters lacking a driver’s license are restricted to local employers they can reach via public transportation; have limited child care options; and do not qualify for jobs that require a license including security, custodial, home health care aides, warehouse, and driver positions. Email us to begin your application process. Include your full name, phone number, and address in your email message. Please obtain the required information above before emailing us. You will receive a reply email with further instructions within two business days. License to Succeed launched in 2009 with initial funding from the Karma Foundation, and has received grant support from the Social Outreach Committee of Unitarian Universalist Congregation of Princeton, Friendship Baptist Church of Trenton, the Junior League of Greater Princeton, and the Zonta Club of Trenton/Mercer.